With the Holidays just around the corner, ham and turkey is going to be a part of the holiday meals. 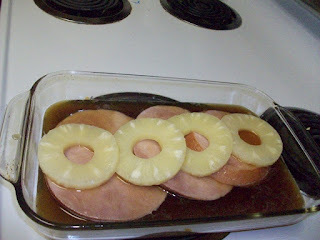 So I am sharing my husbands recipe for ham steaks with pineapple. Arrange ham steaks in a casserole dish. Mix the pineapple juice with the brown sugar. 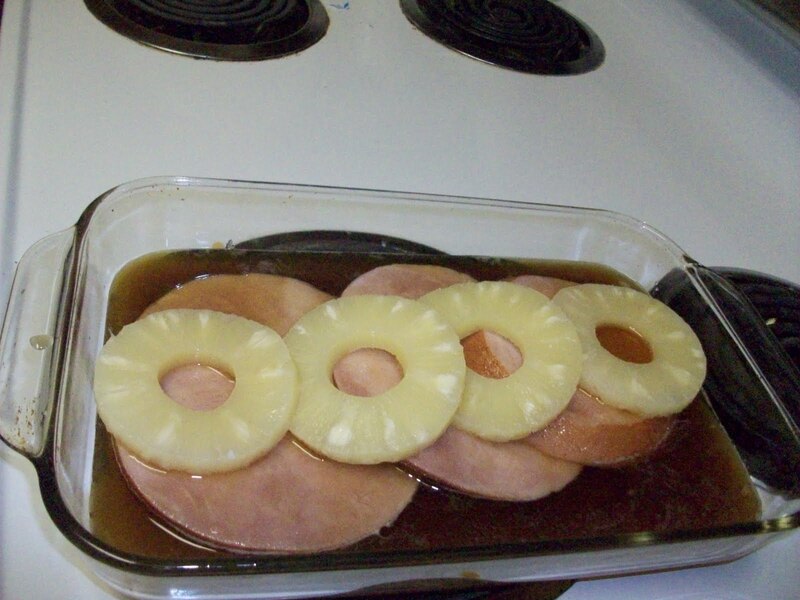 Arrange pineapple rings on top of the ham steaks. Bake at 350 degrees for 35 minutes.